Does the Blue Lagoon Live up to the Hype? 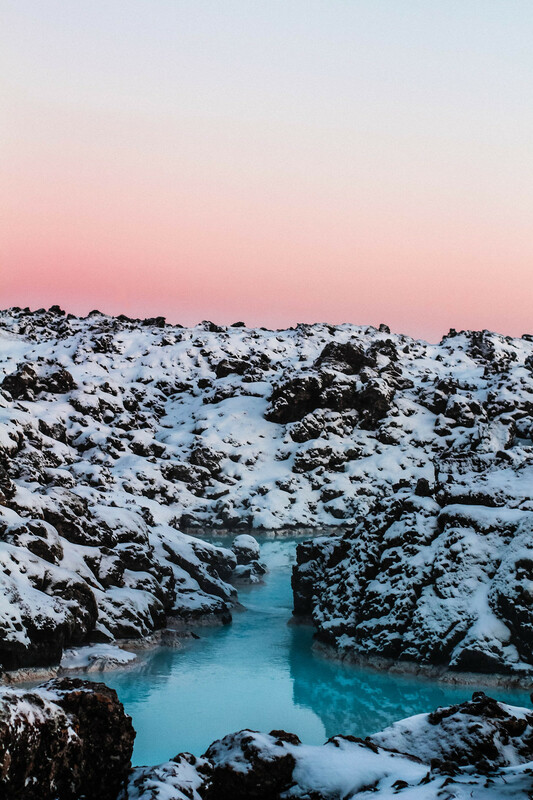 I was a little skeptical about visiting the Blue Lagoon on our travels around Iceland. It’s the kind of place you see being massively hyped by bloggers and influencers on the likes of Instagram, with crystal blue waters and promise of being the most relaxing place on earth, would it really live up to it’s hype? 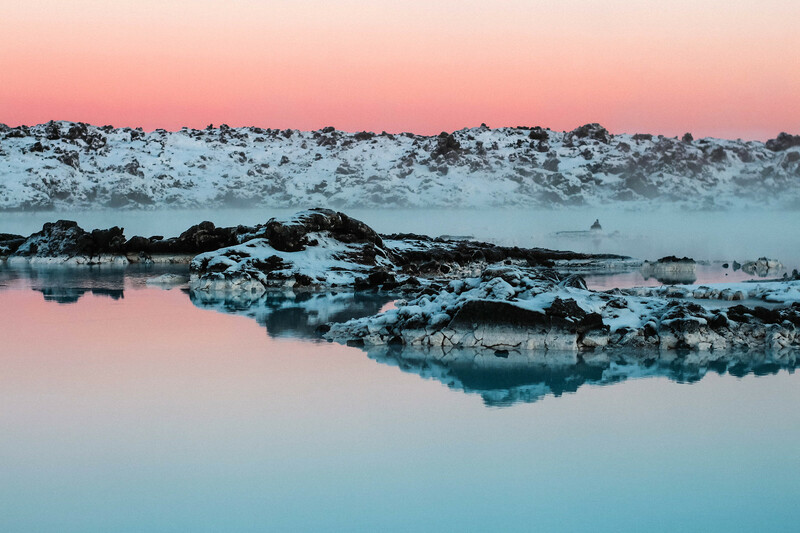 One of the 25 wonders of the world, the Blue Lagoon is one of the most visited attractions in Iceland. 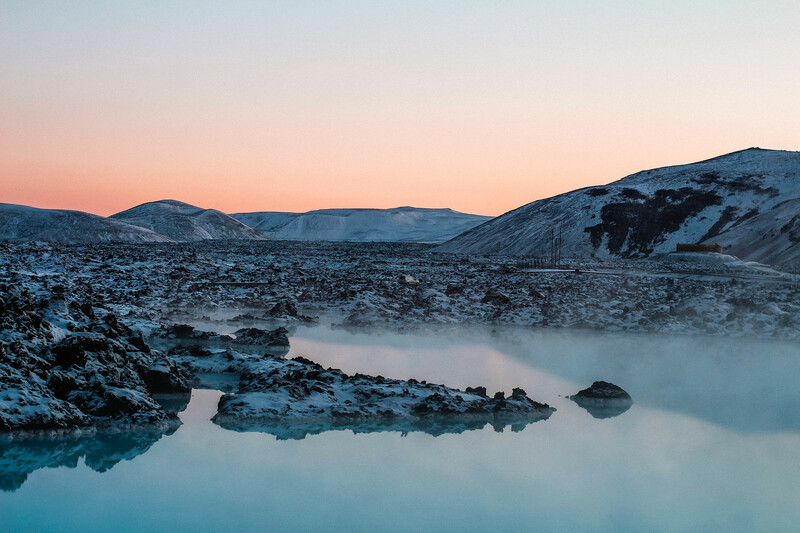 Knowing of it’s popularity, we booked in advance as soon as we started preparing for our visit to Iceland. It’s incredibly busy whenever you go - and although they do reserve some available walk-in slots on the day, these go almost immediately. I really suggest you book ahead of time to avoid disappointment! We were booked in for a 11am time slot, however you are able to stay in the lagoon as long as you’d like once you’ve arrived. 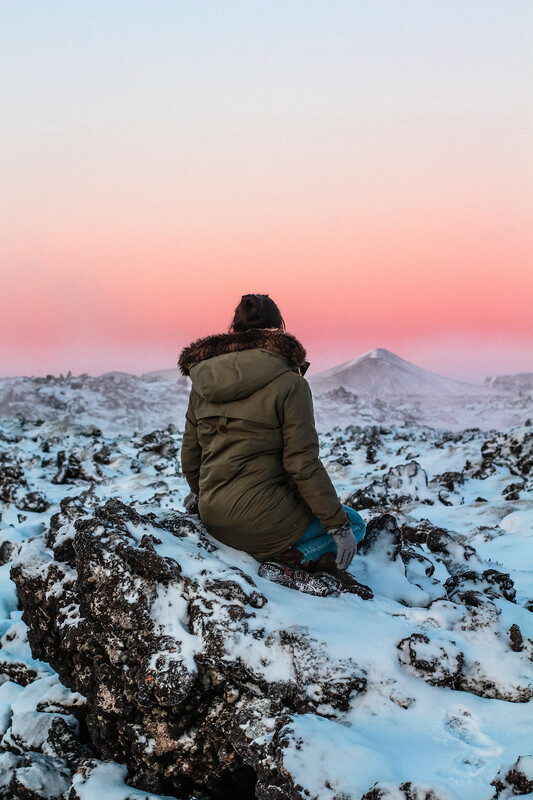 As we visited Iceland in winter, sunrise wasn’t until around 10:30am in late November, so we took the opportunity to walk around the lagoon before our entry time. 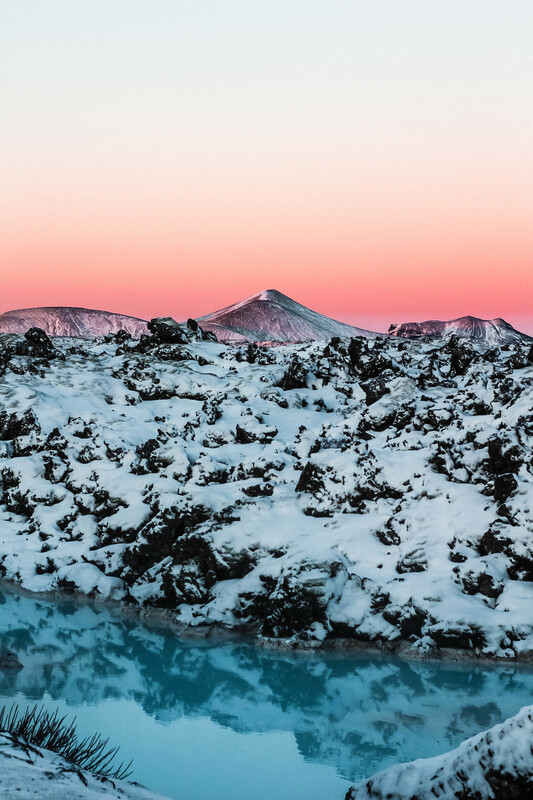 Watching the colours of sunrise appear over the mountains and snow surrounding the perfectly still blue water was amazing. Anyone is able to walk around the back of the lagoon, as it doesn’t actually join with the spa area. 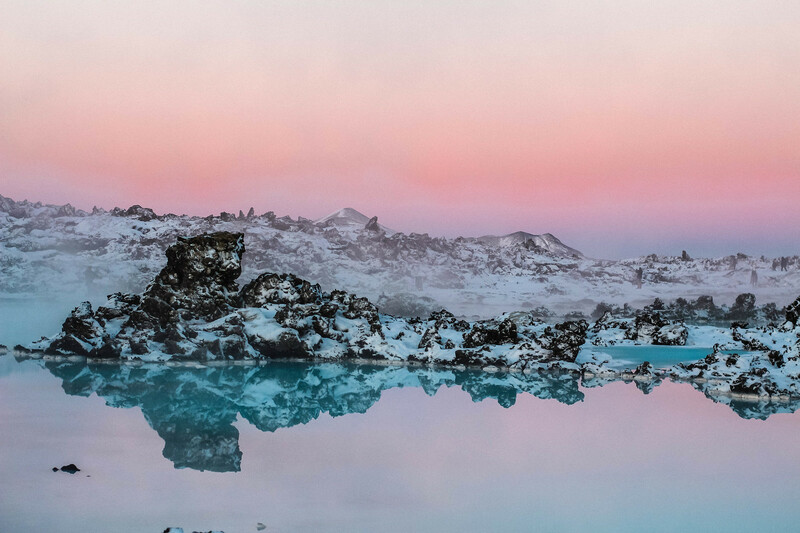 This is free to enter and if you decide not to visit the Blue Lagoon itself for the experience, or can’t get tickets, I’d strongly suggest taking a visit for the views all the same. 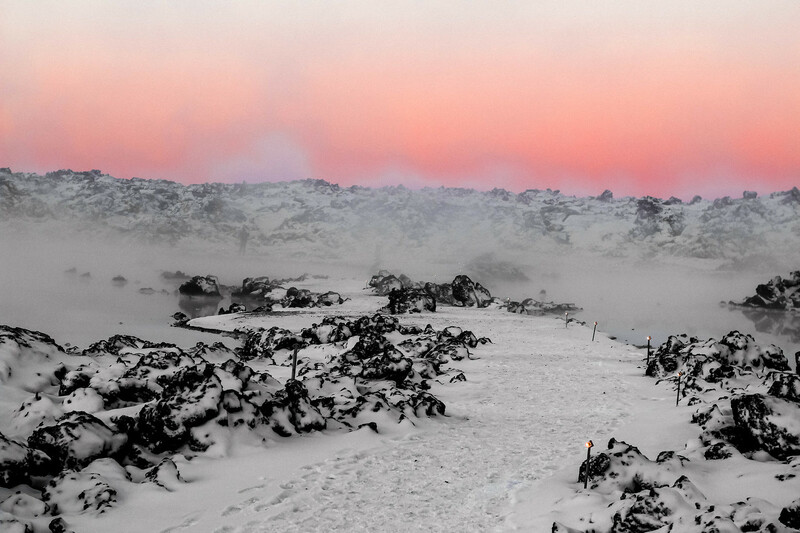 Walking along the snowy paths of the lagoon, it was strange to think that the water reaches a high of 40C; just like being in a gorgeously hot giant bath. After a quick walk around the lagoon, it was time for our entry and we joined the queue with tickets in hand. 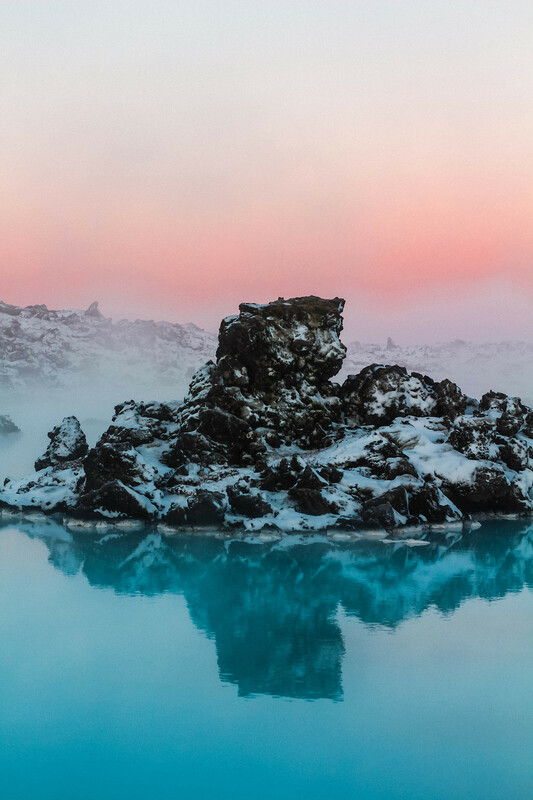 As with a lot of things in Iceland, the Blue Lagoon does come at a cost for your visit. The basic entry price is ‘comfort’ and costs 6990ISK (around £50) this includes use of a towel and one complimentary mud mask. We opted for the most popular option at ‘premium’ which although roughly £20 more at 9990ISK, it includes use of a robe, slippers, towel, a complimentary drink and two mud masks. So for the difference in cost - you are getting a fair bit more. This will also grant you a reservation at LAVA, the on-site restaurant, should you wish to dine there. Once you’ve been given entry to the lagoon, you’ll be provided with a wristband, which gains access to benefits of your chosen entry package. This can be scanned at the bars and mud mask booths. If you go for a different package or want another drink, the wristband can also be accepted as payment. This is scanned and added to your bill to settle at the end when you leave. The wristbands are prone to coming undone, so be sure to regularly check you still have it. You can’t see anything in the water and if you loose your wristband it’s a costly replacement fee. To gain the full benefit of the water and minerals from the mud in the lagoon, remove all make up. I was amazed to see plenty of women in the lagoon with full faces of make up dripping off their faces in the heat. It also means you can’t use the mud masks, which leave your skin feeling incredible. A real shame! Be sure to tie your hair up before entering the lagoon, or if you are going to leave it down absolutely smother it in conditioner first and don't wash it out. The minerals in the lagoon are great for your skin and hair, however the dense amount of salt causes straw like hair and causes it to snap at the ends. You are able to choose yourself a locker which you can access with your wristband. Perfect for keeping everything safe, which you can return to whenever you wish. It’s customary to shower naked in Iceland before putting on your swimming costume. There are communal shower spaces but there are also private shower booths should you prefer, as well as changing rooms. 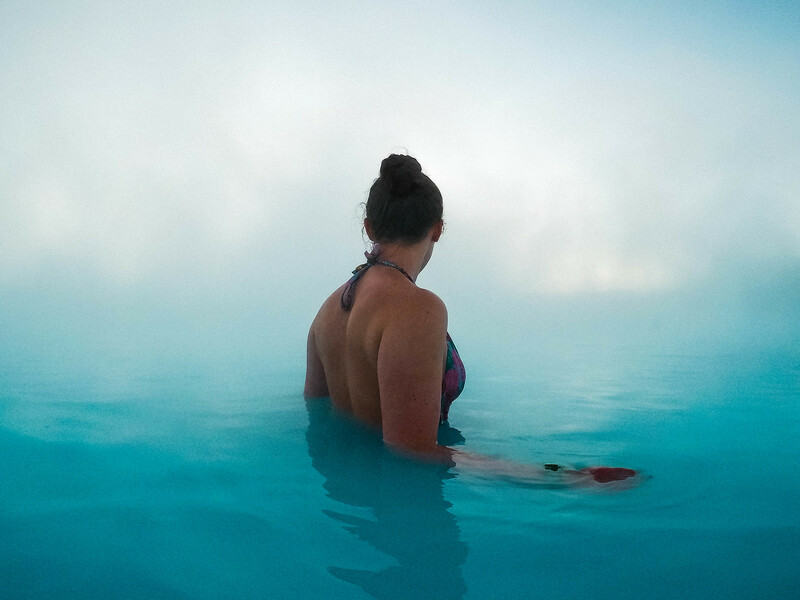 With the amount of people visiting the Blue Lagoon each day, don’t expect to keep your own towel. It’s impossible to keep track and there are plenty fresh ones you can take, should yours go missing. There is nothing stopping you taking your camera, phone, or go-pro into the lagoon, however make sure these are totally waterproof. Or if you’re really wanting to get ‘that shot’ for Instagram, you could always have someone take it for you, then pop your phone or camera back safe in your locker. Despite the amount of people passing through the lagoon each day, it does actually feel quite private and secluded. 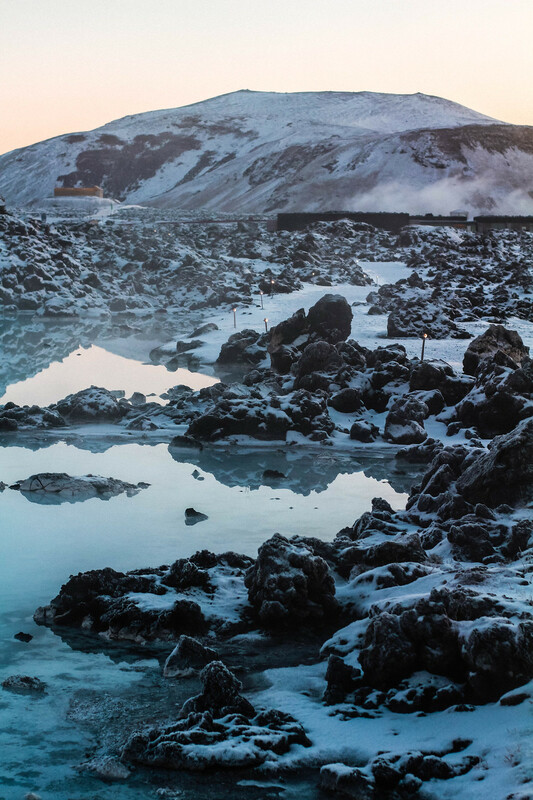 The steam rising from the hot water is enough to make you feel totally alone in the lagoon, though it can cause issues trying to find your way to the various bar and mud stations! Also within the lagoon complex, there is the option to have an in-water massage (for a fee) and facial treatments, or you could relax in the steam room and sauna. When you’ve had your fill of the lagoon experience, the changing rooms provide complimentary cotton wool pads for make up and hairdryers to keep you feeling fresh. We had an incredible day at the Blue Lagoon and I feel it’s absolutely worth the price tag. Be sure to book ahead of your visit to ensure you can access! 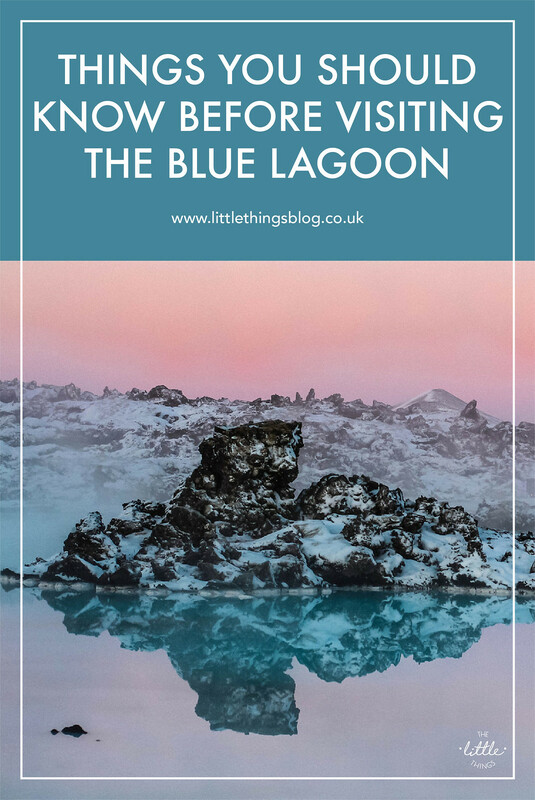 Will you be planning a visit to the Blue Lagoon soon?